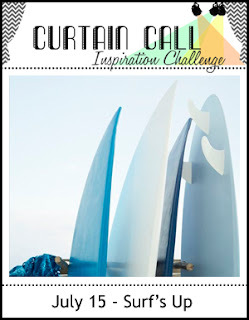 Here is my card to share over at the Curtain Call Challenge today. Look at this peaceful aquatic scene and you can't help but think, SURF'S UP. 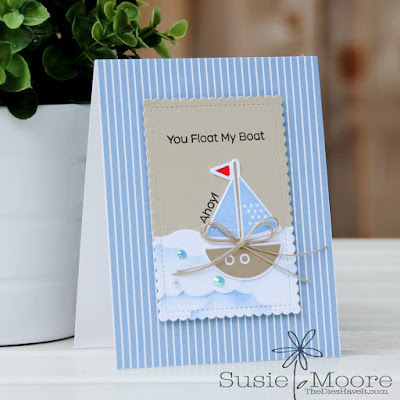 I couldn't resist using the You Float My Boat stamps and dies from MFT Stamps. It was all very tricky to get the sails, the flag and the boat stamped correctly on the die cut. Many boats were lost to the round file, but I finally got one to work! I may have just had an off stamping day, so I'll be trying this set again soon.